» Hast du mich ganz berauscht? 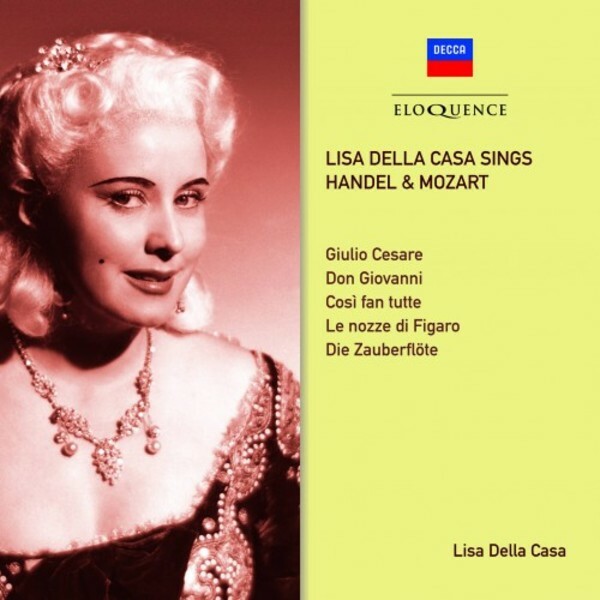 Among the legendary opera singers of the post-war era was Lisa Della Casa, one of the few internationally known musical stars produced by the little country of Switzerland, and a member of the exceptional Mozart ensemble built up by the Vienna State Opera. For opera-goers on both sides of the Atlantic, she was the first choice as the Countess in Figaro and Donna Elvira in Don Giovanni but, with a voice which the Italians would class as lirico-spinto, she commanded a number of verismo roles. For a singer of her eminence, Lisa Della Casa made relatively few records. Central to her discography were the three Mozart–Da Ponte operas, recorded in Vienna in 1955 for the composer's bicentenary the following year with three of the most eminent Mozart conductors of the time – Karl Böhm (Così fan tutte), Erich Kleiber (Le nozze di Figaro) and Josef Krips (Don Giovanni). All three recordings have become benchmarks for these works and all three are highlighted in this collection. As was often the custom when she was recording, the arias from Handel's Giulio Cesare are sung in German. The 1949 recordings (Cherubino's aria sung in German) are released on Decca CD for the first time. 1. Hast du mich ganz berauscht?